To visualize how riparian areas work, think of a large sponge placed across the end of a sloped board. If water is poured over the board toward the sponge, most of the water is slowed and absorbed by the sponge. Over time, some of the water drains slowly out of the sponge and some evaporates. The sponge also filters out dirt and chemicals. Like a sponge, riparian areas absorb, clean, and filter water. 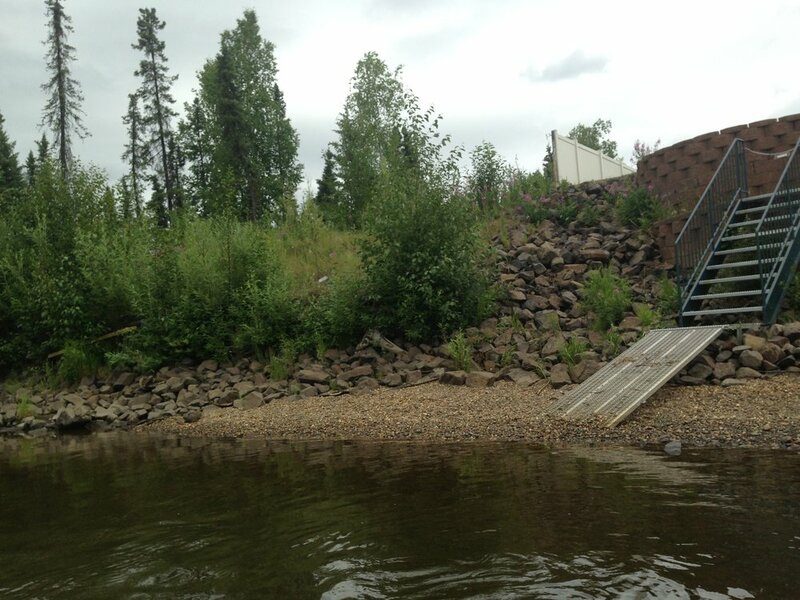 In 2013, TVWA finished its baseline study of Chena River bank conditions specific to erosion and riparian zones. 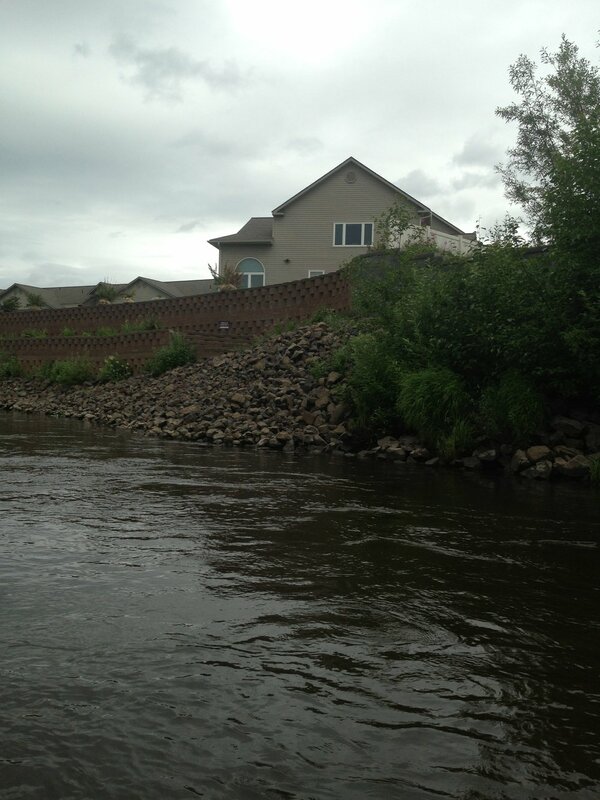 In 2014, TVWA continues this research to create a report categorizing the conditions both natural and unnatural types of river banks with an emphasis on measuring percentage of riparian zone. 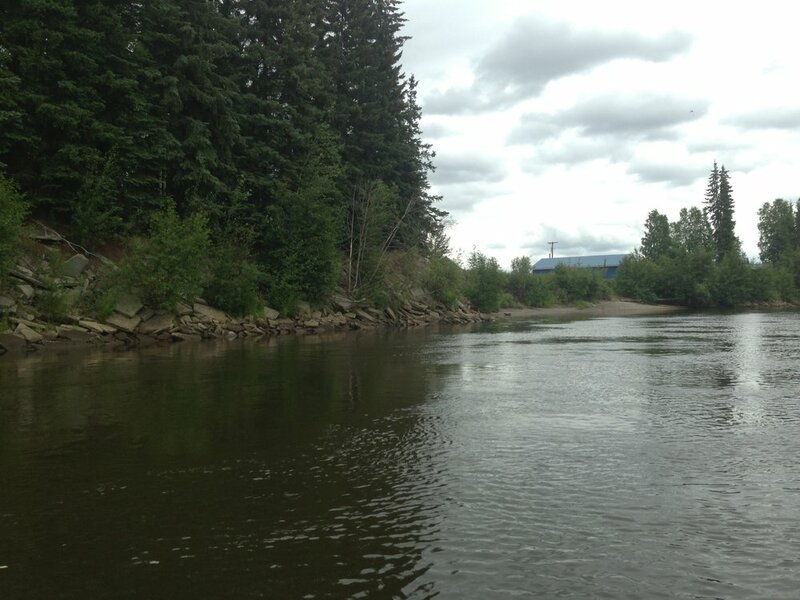 TVWA is hoping to expand this effort to other rivers as funding is available. The Chena River Basin is of particular interest for central Alaskans as an excellent focal example of what northern pacific communities face in challenges and restoration efforts. A concern of water quality and fish abundance, primarily Chinook salmon, is in part due to early spring break-up. This earlier ice melt drastically contributes to runoff and pollution. In the face of increasing urbanization and development as well as the challenges of public education that are common in all parts of Alaska, many of these services and stream habitats have become impaired. After we assessed the stream banks habitat and monitored the restored habitat on the Chena River. TVWA created the below poster to educate people about the Bioengineering and Biomapping projected on the Chena River.